Stage III utilizes proprietary simulation and solution algorithms to analyze up to 100 cash flow structures for risk and capital cost optimization. 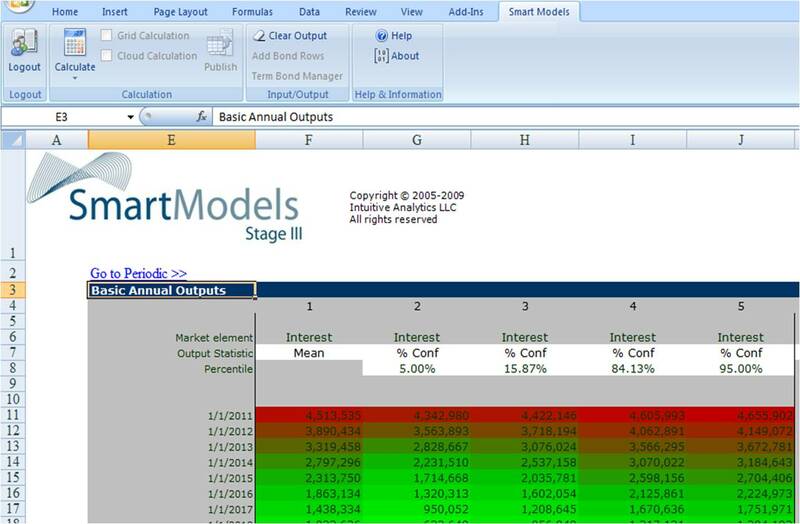 Stage III scenario analysis also provides the ability to change up to seven structures delivering comparative alternatives with a single calculation. 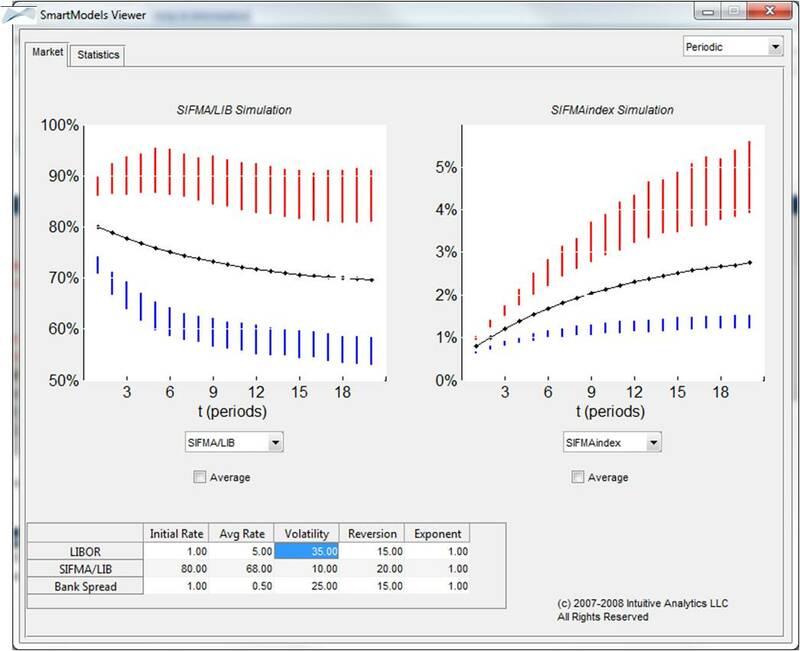 What's more, three graphical user interfaces help provide the visual intuition behind the scenarios and the optimization problem. Risk factors are user-defined and graphically displayed offering ultimate flexibility and intuition. Credit spread risk factors offer easy modeling of basis and other spread risks. Incorporation of full portfolio of fixed and variable rate bonds, derivatives, and asset cash flows from investments. Simulated revenues provide a full distribution of results for financial margin. Two types of structure scenarios: Percent changes and full structure replacement. 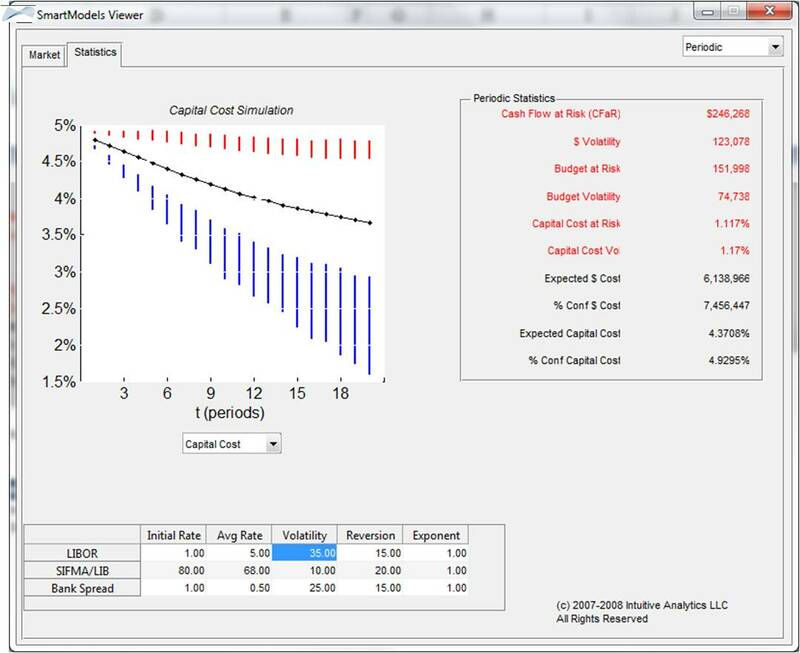 SmartModels Viewer application dynamically illustrates the impact of rate model assumptions on debt service. Proprietary RiskTarget™ technology allows user to minimize one of 10 cost or risk variables by determining optimum portfolio size and instrument structure.